So fabulous! Love the new series idea! What a fabulous idea that would be. I love flexibility on my wardrobe and that would be perfect. Very sassy and chic. love. 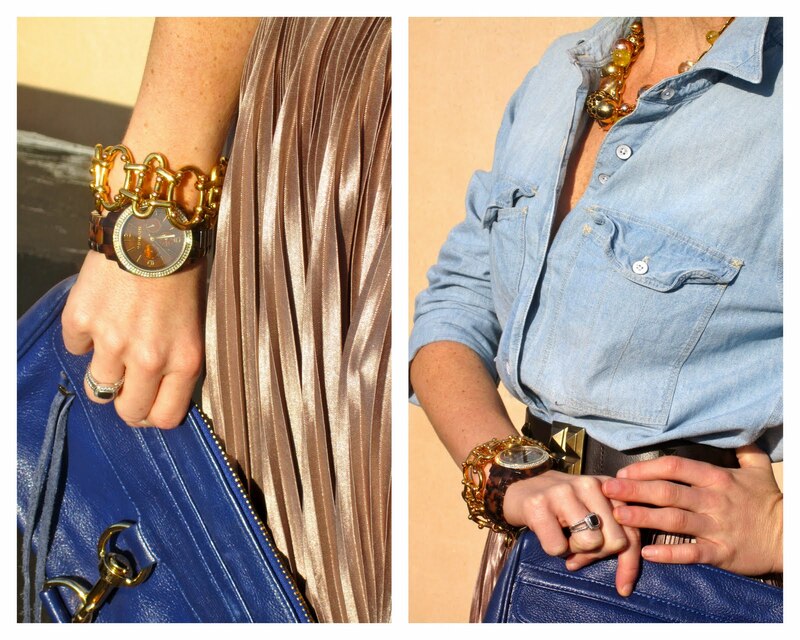 the three ways to wear the piece are all so fun and so different! glad you are making an appearance in the pictures! Absolutely love this skirt and think I may need to add this to my wardrobe. Love the new series! just realized that may come off as rude, i'm quite impressed by the looks you pulled together, skirts like that just look frumpy on me! 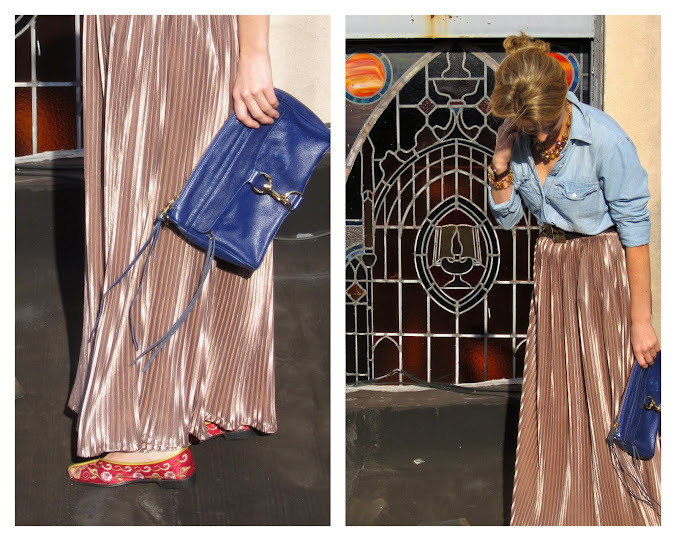 The denim shirt look is how I would define Prippy style (completely digging the look from top to bottom!). I need to check out American Apparel these days... love it! What a fun idea. How cool was that seeing three ways to wear one dress. We really liked the last two. I can't believe that's the same dress/skirt! You did such a great job at making it SO unique! LOVE this post...and your blog! I'm all about re-mixing what I have, so this post is super inspiring! what a creative spin on one item! loved this post and your idea for "fashion focus" - can't wait to check out your future posts in this series! Wow! I'm so excited about all of the feedback! Thanks so much ladies! Looks like maybe I should do another Fashion Focus post.